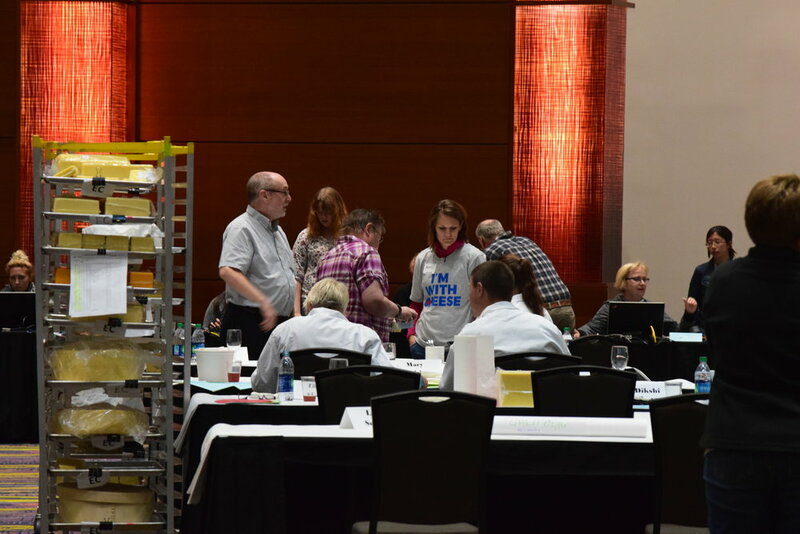 To me, judging is one of the hardest jobs of the American Cheese Society conference. It may not be as physically taxing as say, a cooler captain, but it can not be understated how difficult it can be on your brain and taste buds. 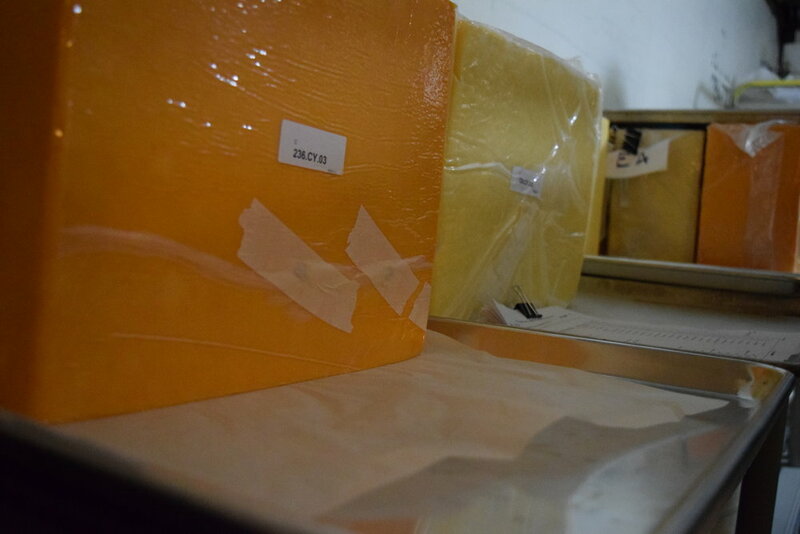 There is a whole lot of cheese to get through and only two days to do it! 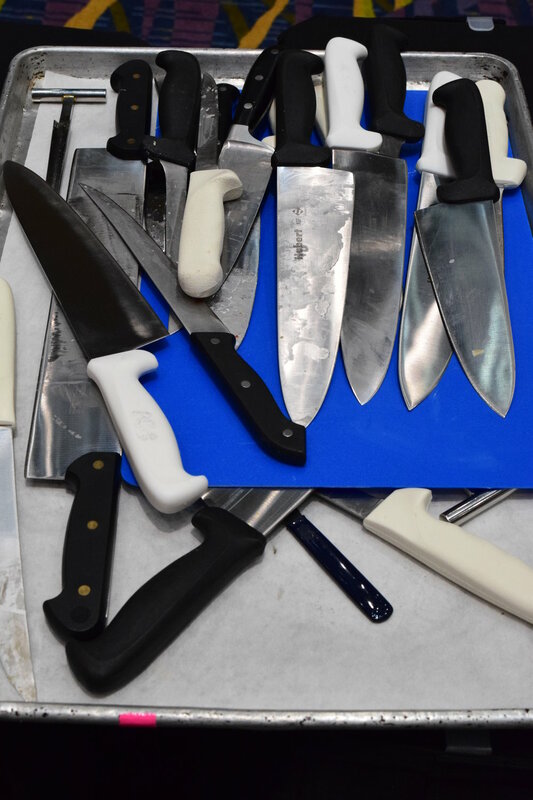 This is what the racks look like when they come out and the cooler captain is in charge of making sure that the racks are in order with the right cheeses and in the right category. 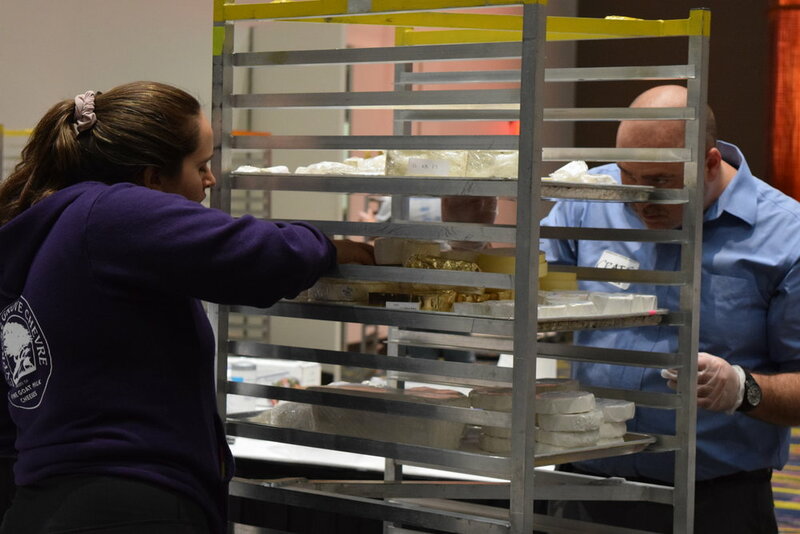 Depending on the category, there can be 20 or more cheeses that need to be tasted for judging. There are often multiple pieces for each entry and only one piece needs to be tasted but it's just easier to keep them all together because their life extends well beyond judging. Judges are separated in to teams. One aesthetic and one technical. This is an important thing to note because both are looking for different things and if we had multiple teams of aesthetic judges there would very different outcomes than what we see today. 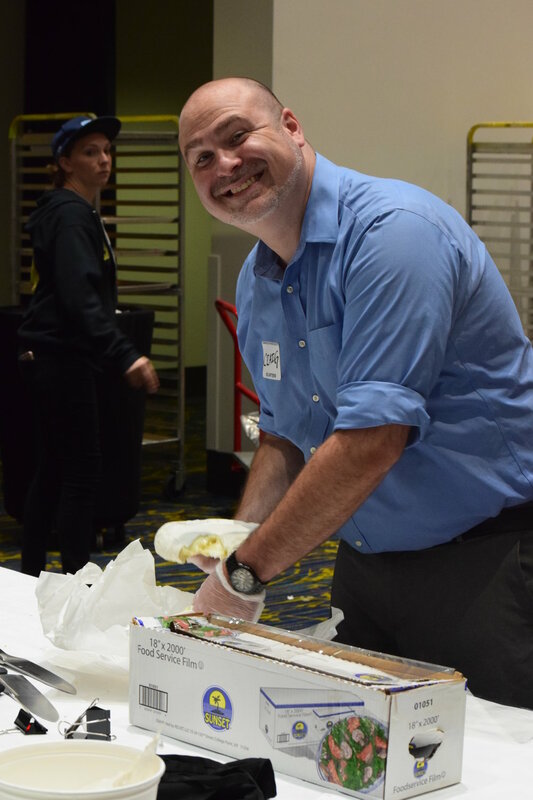 Aesthetic judges tend to be cheesemongers, shop owners, or general cheese enthusiasts and the technical judges are those that are often dairy scientists, working at the center for Dairy Research, or a university with an active agriculture program. 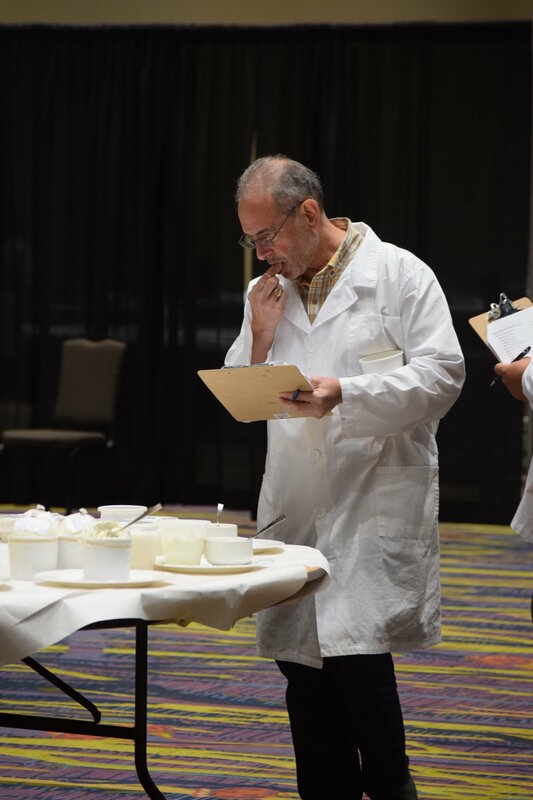 The judges go through trainings to calibrate their palates so everyone is on the same page but the amount of tasting fatigue experienced can be hard to remedy when tasting so many cheeses. It is also difficult recognizing some of your favorite cheeses come through and being perfectly honest and frank about their flavor profiles or inconsistencies in the batches they have selected for judging. One of the things that people don't realize or know is that every cheese gets feedback. Positive and constructive criticism. Sometimes it can be difficult to say anything constructive because it can seem like the cheese is perfect (and there were even a few this year that took home a perfect score, which is unheard of) and sometimes it can be hard to say something positive because you've either exhausted your words for the day or the simple fact remains that in a numbers game like this, there are bound to be some real duds. Just imagine, also, that you've already tasted through a bevy of cheese and then have to prepare your tastebuds for the ultimate tasting, the Best in Show category. The blue ribbons in each category are pulled to the side and set up for a round table tasting of epic proportions. 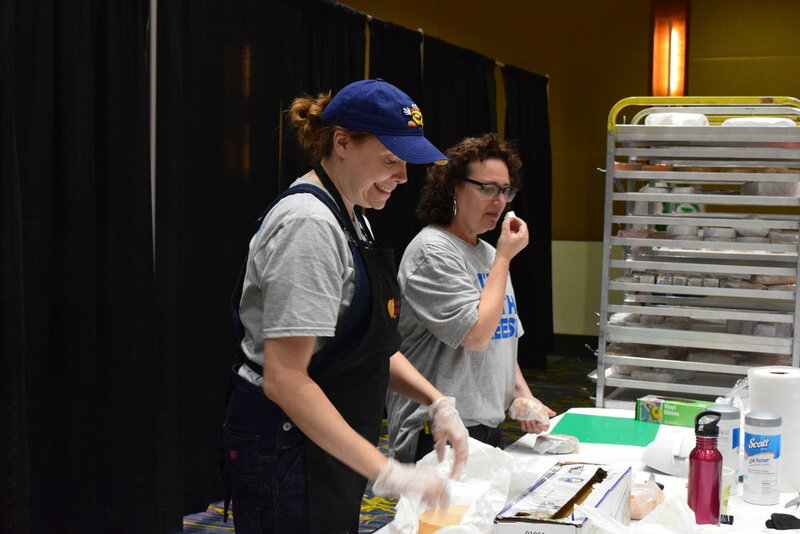 This year we prepared 105 cheeses for Best in Show tasting. It's an amazing ordeal and I always feel so proud to be able to be a part of this particular tasting. From here, the results are tallied and sent off to the printer to prepare for the Friday night awards ceremony. The J&C committees jobs, including my time as a cooler captain, are done but the cheese is passed on to the next set of volunteers for the Festival of Cheese. To see life from the other side of the curtain, check out my friend Gordon Edgar's post on being a judge. There is some great info on how they can judge all those cheeses. The next installment though, regional tours. I went on a PORK TOUR!